Racial justice has always been a key value to us here at ioby. We know that in many of the communities we serve, people have been denied justice and denied opportunity. But that doesn’t mean they aren’t strong, resilient communities. On the contrary, they are vibrant neighborhoods with powerful leaders who fight every day to work for a stronger, more just world. 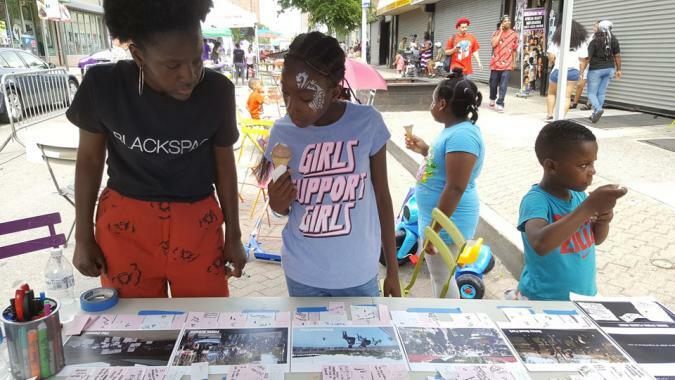 This Black History month, we want to highlight the neighbor-led projects that honor the powerful legacy of Black communities, Black people, and Black culture, and the projects that are leading the way to stronger, fairer, and more just communities. Many of these projects are still fundraising, and donating to them can be a powerful start to kicking off your own racial justice project! BlackSpace is an interdisciplinary urbanist collective of “Black residents, changemakers, systems thinkers, learners, and lovers who work to nurture Black people in fields of influence, and promote and protect Black communities, fight for equity and justice, and amplify Black agency.” Through various gatherings and events, advocate for a better today and tomorrow for Black communities. They’re crowdfunding $5,435 right now to deepen their impact and grow their reach in 2019. The Cleveland Crossroads aims to bring stories from the underground railroad to life, by inviting actors to present three deeply researched and unique stories of fugitive slaves in Cleveland. They’re crowdfunding $7,768 on ioby to use public theater as a unique way to illuminate the risk that abolitionists and fugitive slaves undertook on the path towards freedom, and tie that history to our own fraught present. Christopher has collected comics since the mid ’80s, when he would walk home from school and pick them up at his local drug store. But even as he collected hundreds over the years, he found that few among the hundreds of characters looked like him; nearly all the superheroes were white. That’s a problem for him. Now, as a Corrections Officer, he knows how powerful it is to see people who look like you to serve as role models. So he’s crowdfunding $1,005 to produce an 8 issue comic book series and film and share new role models. Leah Lewis is a fighter for racial justice. A born and raised Clevelander, she says she became aware of the ugliness of racism as a child through watching Roots, and after being exposed to racism in high school. But, she says, “I was raised to have a pure appreciation for human beings. So to experience racism, though it changed me, it did not take away from my humanity and my respect for the human race. Because I see racism as a pathology, I’m dedicated to doing work that will help people come to terms with misinformation and misnomers, and to help people come to terms with their own social ills and fears.” She successfully crowdfunded to create a trailer for her new docuseries, “The X’s and O’s of Race/ism” and is currently crowdfunding to launch the full documentary. Bank Black is a social movement that aims to bring the issue of financial inclusion to the forefront of the larger Black community’s awareness. Seeing that only 1% of big banks’ loans go to Black people, despite Black people making up 13-14% of Americans, the movement encourages people to bank with Black-owned banks in the United States. To help spread the movement and encourage people to #BankBlack, Justin Moore and his team crowdfunded over $2,000 for a kit of materials to make it easier to spread awareness about the campaign. In 2002, 73-year-old Joan Southgate – retired Cleveland social worker and grandmother of nine felt called to honor her enslaved ancestors by walking the very same hundreds of miles they’d walked to freedom, on the Underground Railroad. Her march made the news, and when she got home, she founded an organization called Restore Cleveland Hope (“hope” had been Cleveland’s code name on the Underground Railroad) and set to work saving the city’s last remaining “safe home” from demolition. 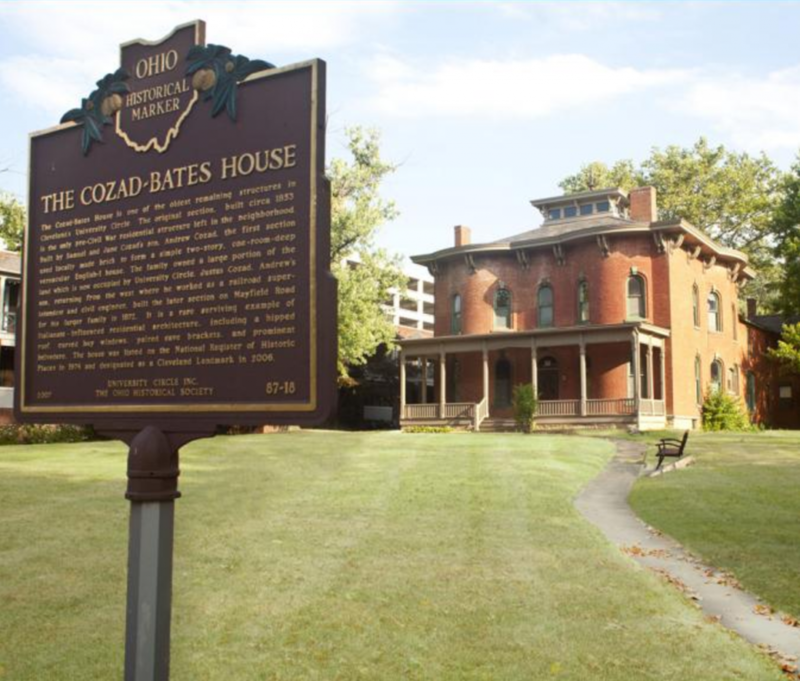 Since then, Clevelanders have rallied to celebrate their shared history and honor the courageous people traveling–and offering refuge–along the Underground railroad. The volunteers at Restore Cleveland Hope crowdfunded over $2,000 to research and create educational programming around the heroic freedom seekers who sought shelter in Cleveland. At the end of the day, for us at ioby, the time to celebrate Black History and renew our fight for justice extends far beyond just the month of February; it’s an everyday action! In whatever sphere of influence we have, where we are, justice demands that we raise our voice and fight for it however we can. ioby project leaders are doing just that this month, and every month of the year! Do you have an idea for a community project that celebrates Black History or fights for racial justice where you are? We want to know about it! Share your idea with us and we’ll help you strategize your crowdfunding campaign to make it happen.